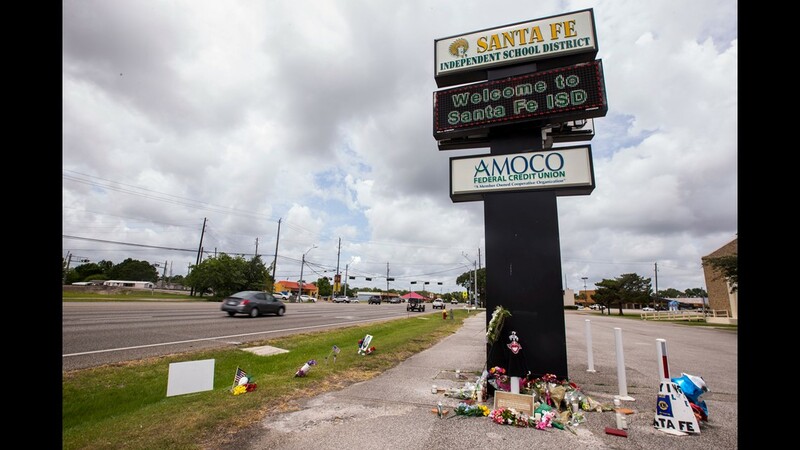 A memorial for the victims of the Santa Fe High School shooting is pictured on May 20, 2018, in Santa Fe, Texas. 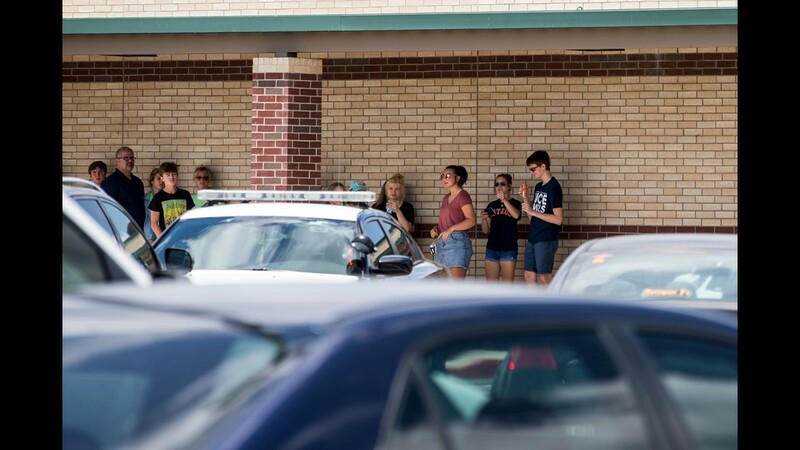 People wait at Santa Fe Junior High School to be taken to Santa Fe High School to pick up belongings on May 19, 2018, a day after a shooting left 10 people dead at the school. 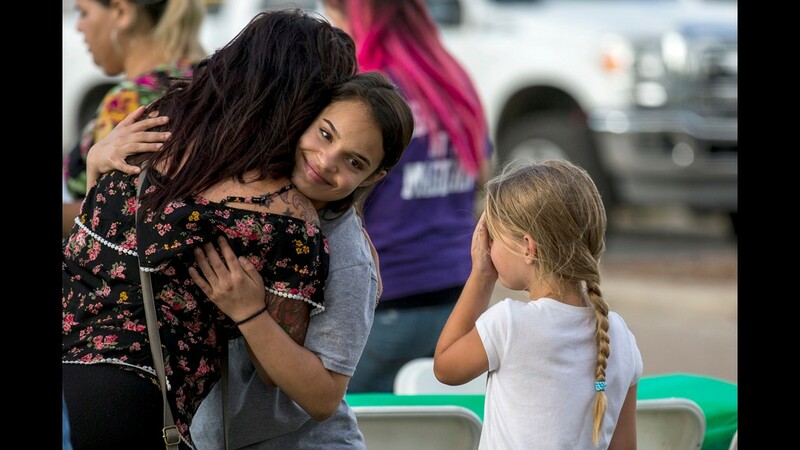 Brittany Roach (left) hugs Meah Salinas, 13, on May 19, 2018, during a community dinner in Santa Fe, Texas, a day after a shooting left 10 people dead at Santa Fe High School. 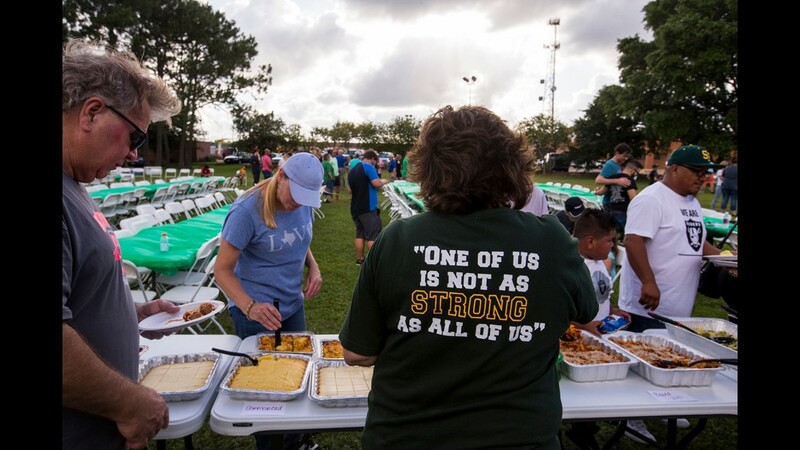 People gather for a community dinner on May 19, 2018, in Santa Fe, Texas, a day after a shooting left 10 people dead at Santa Fe High School. 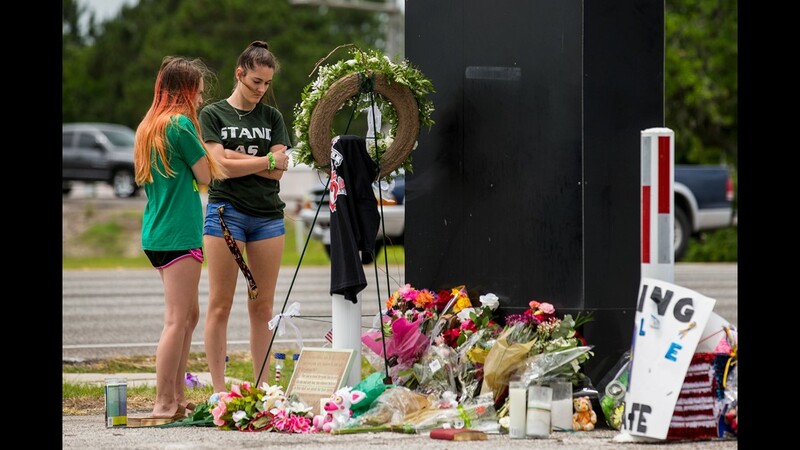 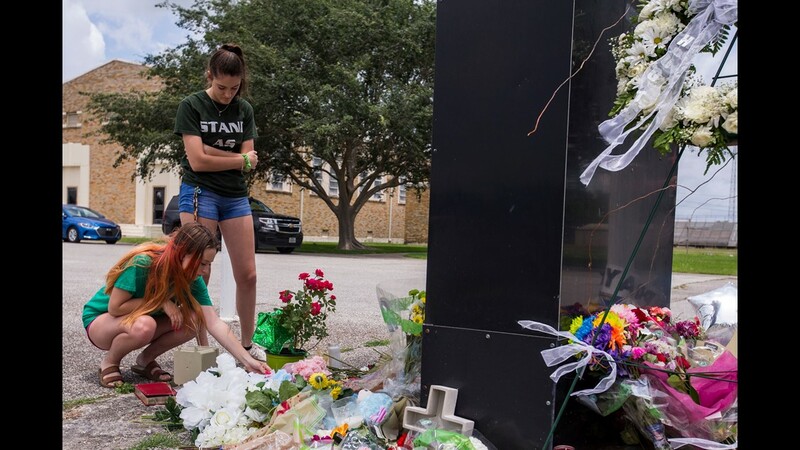 Kalysta Dodson (left) and Reagyn Murphy, sophomores at Santa Fe High School, look at a memorial for the victims of the Santa Fe High School shooting on May 20, 2018, in Santa Fe, Texas. 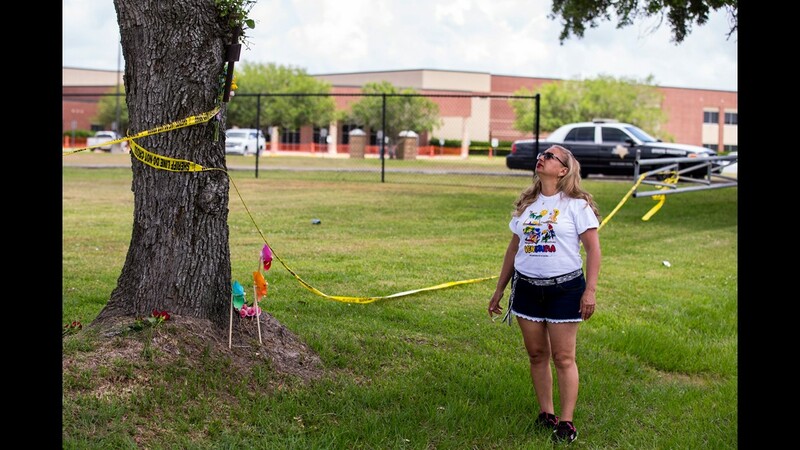 Gardenia Martinez of Houston looks at a memorial outside Santa Fe High School on May 20, 2018, in Santa Fe, Texas, two days after a shooting at the school left 10 people dead. 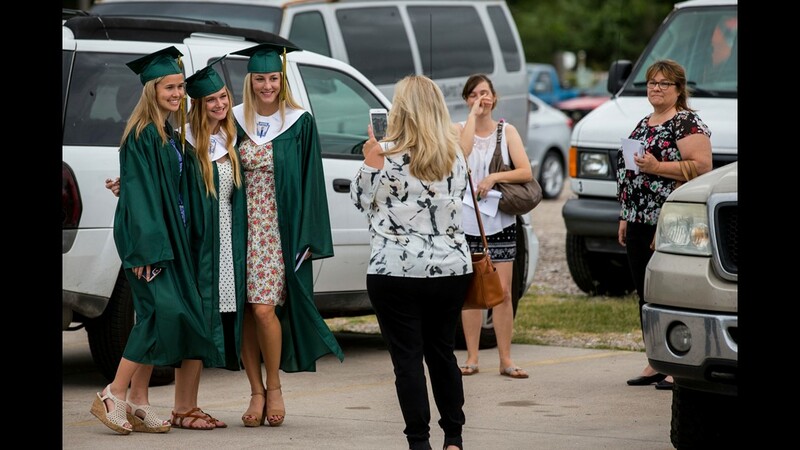 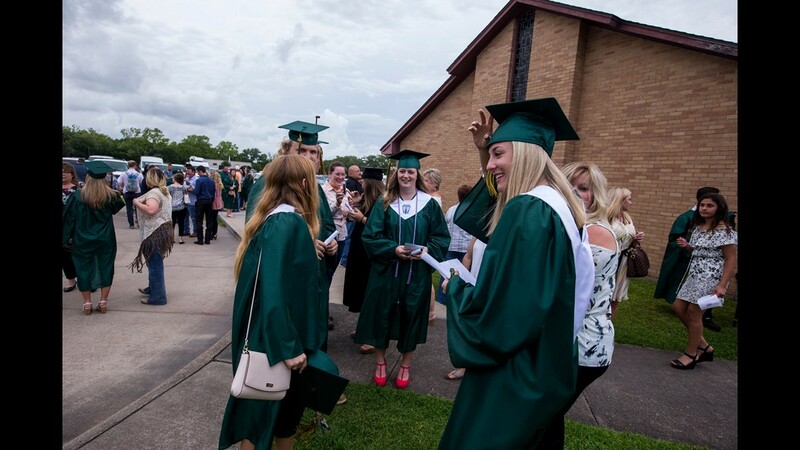 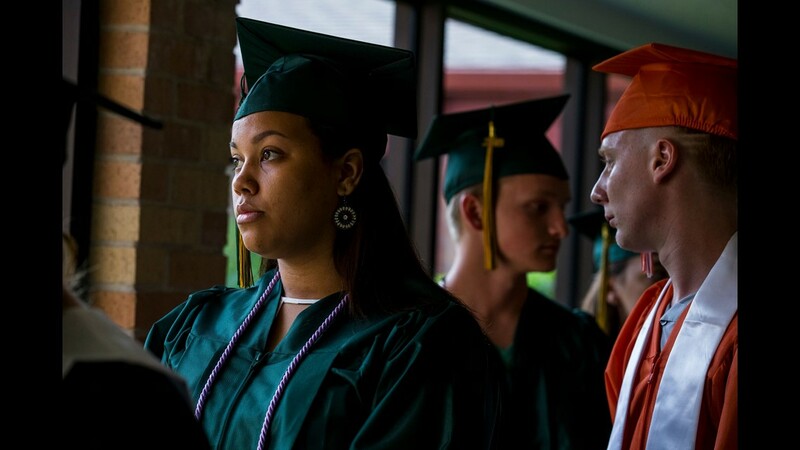 Santa Fe High School seniors attended a baccalaureate ceremony on May 20, 2018, at Arcadia First Baptist Church in Santa Fe, Texas, two days after a shooting left 10 dead at the school. 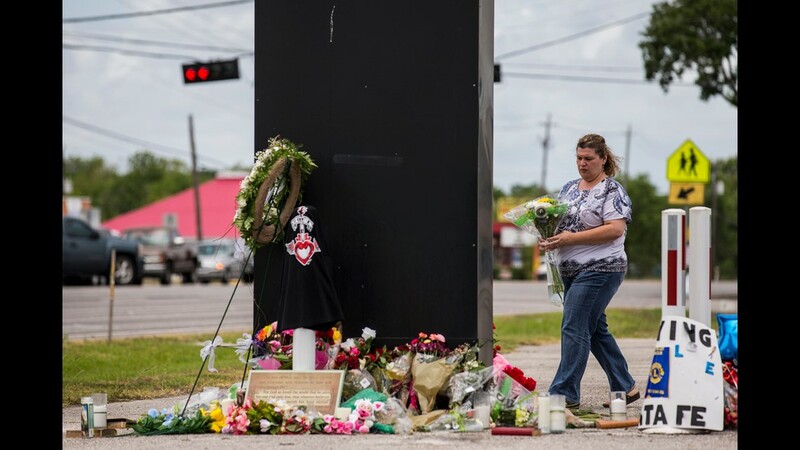 A memorial for the victims of the Santa Fe High School shooting is pictured on May 20, 2018 in Santa Fe, Texas. 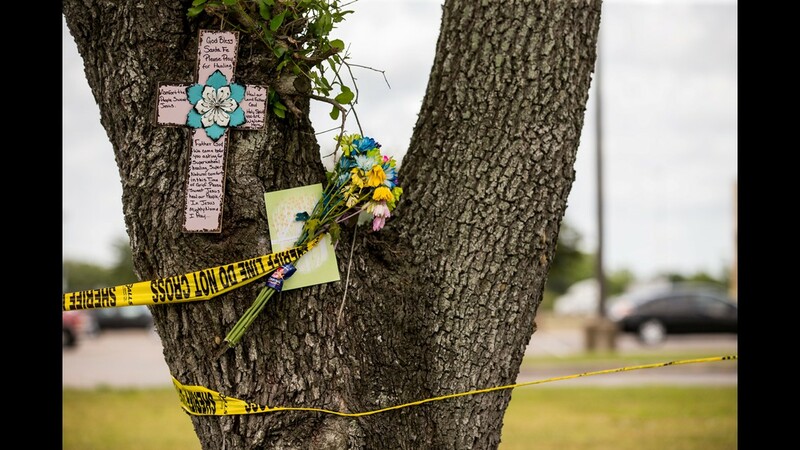 A woman leaves flowers at a memorial for the victims of the Santa Fe High School shooting on May 20, 2018, in Santa Fe, Texas. 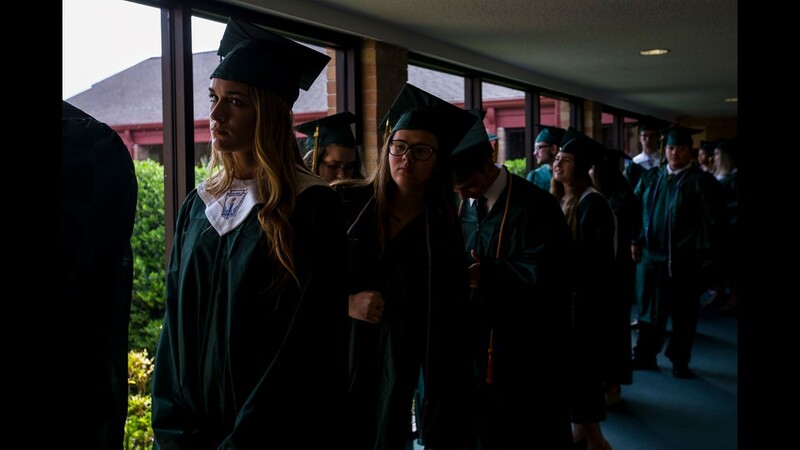 Santa Fe High School seniors wait before a baccalaureate ceremony on May 20, 2018, at Arcadia First Baptist Church in Santa Fe, Texas, two days after a shooting left 10 dead at the school. 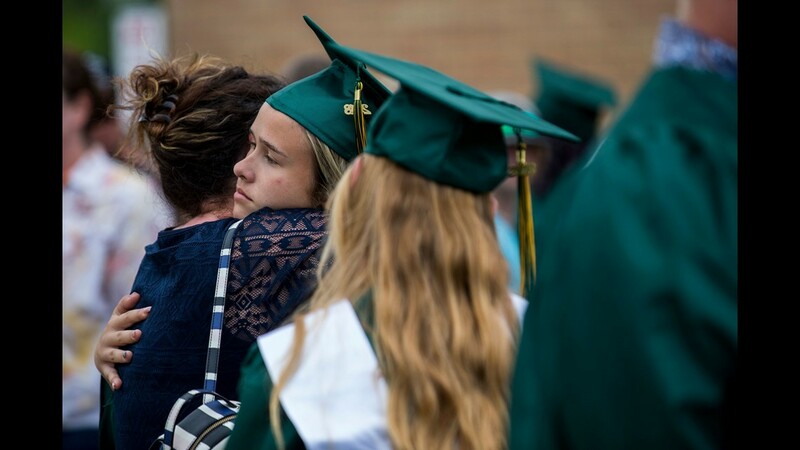 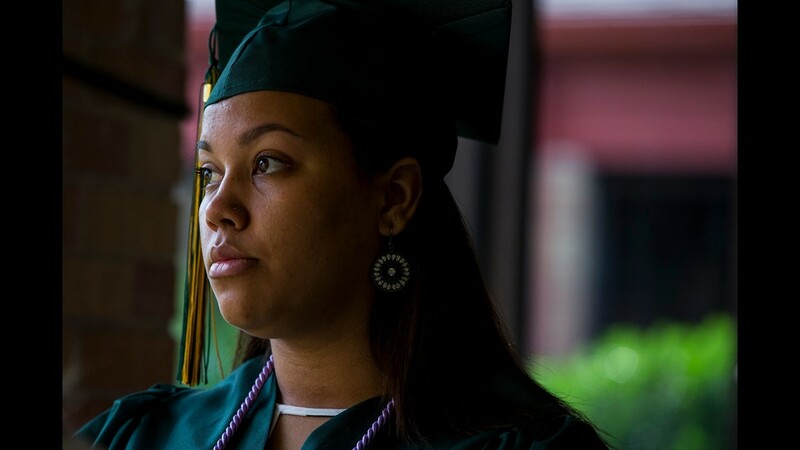 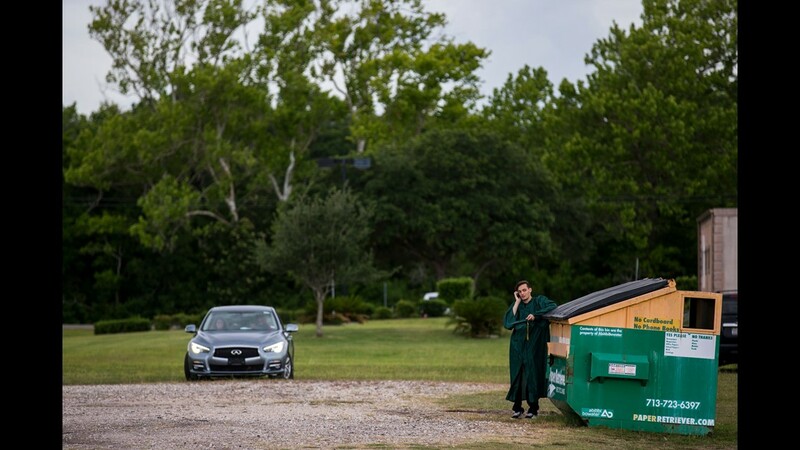 Santa Fe High School senior Caitlyn Hubert waits before a baccalaureate ceremony on May 20, 2018, at Arcadia First Baptist Church in Santa Fe, Texas, two days after a shooting left 10 dead at the school. 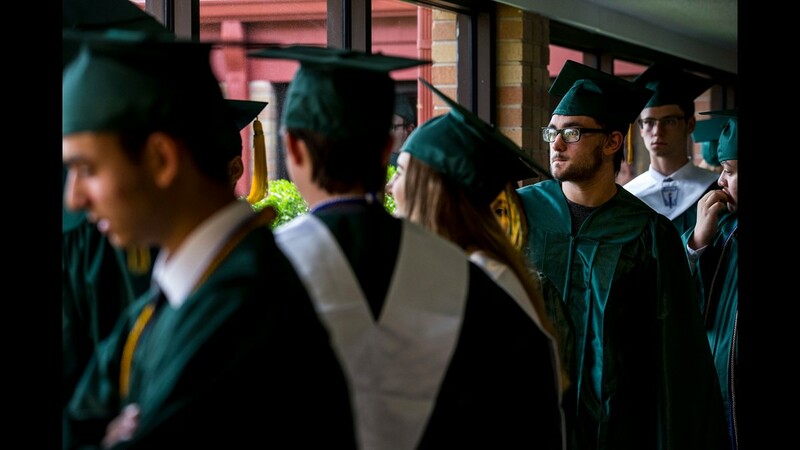 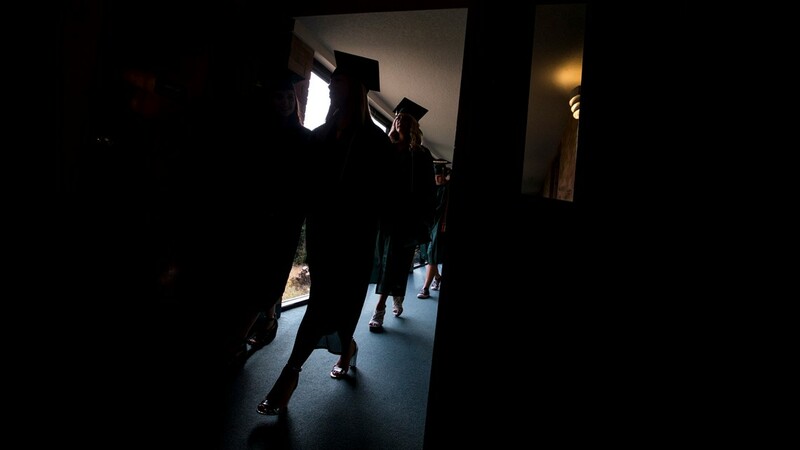 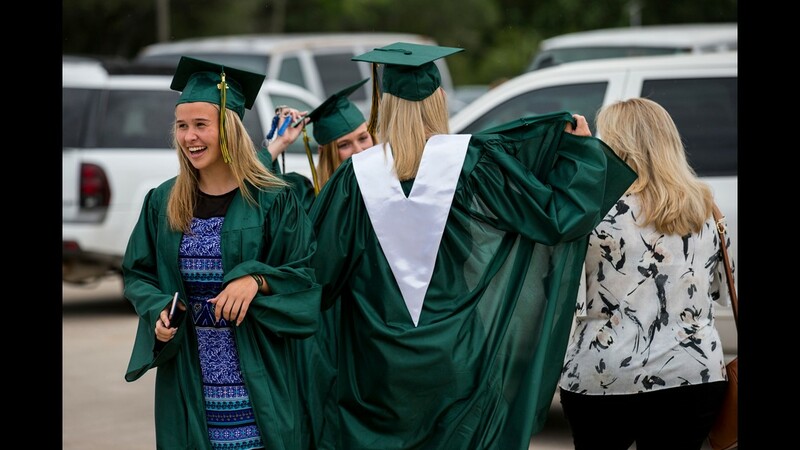 Santa Fe High School seniors walk into their baccalaureate ceremony on May 20, 2018, at Arcadia First Baptist Church in Santa Fe, Texas, two days after a shooting left 10 dead at the school. 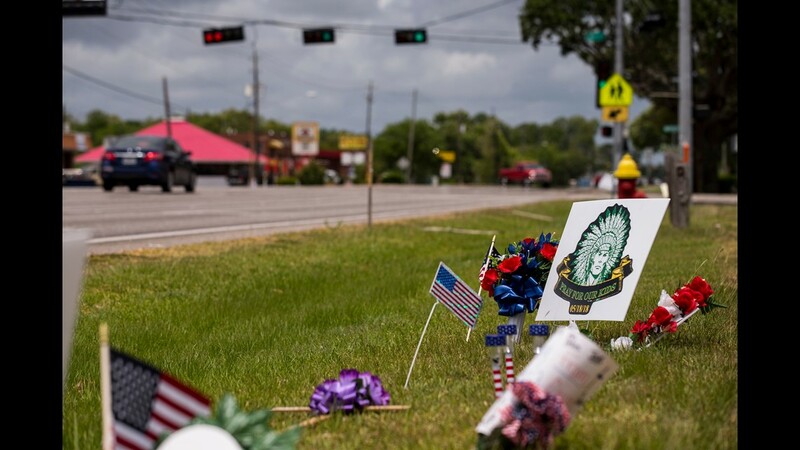 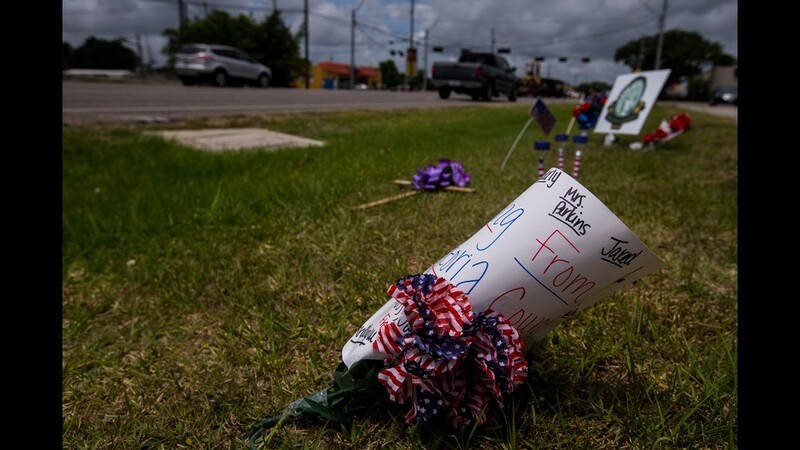 A memorial for the victims of the Santa Fe High School shooting is pictured outside the school on May 20, 2018, in Santa Fe, Texas.